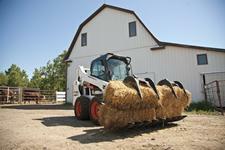 The Bobcat® S510 skid-steer loader is the first model in the popular 500 frame size. The radius lift path delivers the reach and visibility you need for dumping over a wall, backfilling or loading flatbed trucks, making it a popular choice for excavating and earth-moving work. The Bobcat® S530, the smallest vertical-lift-path loader, is perfect for loading trucks or mixers where more reach and lift height are needed at the top of the lift cycle. The S530 is a popular choice in its size class. 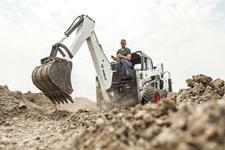 If you’re looking for a powerful radius lift path loader in the 500 frame size, choose the Bobcat® S550. 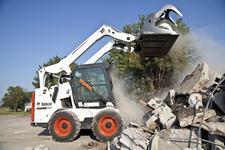 This skid-steer loader is ideal for dumping over a wall, backfilling or loading flatbed trucks. 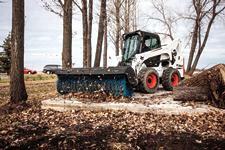 Bobcat® S550 provides several additional performance benefits. The Bobcat® S590 vertical path skid-steer loader provides more reach at full lift height than a radius lift path loader without sacrificing performance. 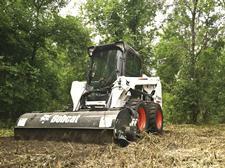 The Bobcat® S630 is the first radius lift path model in the 600 frame size. It delivers greater forward reach at mid-range heights for dumping over a wall, backfilling or unloading flatbed trucks. 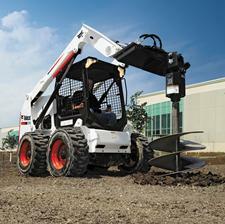 The Bobcat® S650 skid-steer loader is a vertical lift path model in the 600 frame size. It offers increased lifting capacity and provides greater forward reach at full lift height for loading trucks. 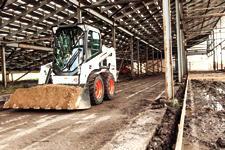 Power your way to top performance with the Bobcat® S750 skid-steer loader. With its vertical lift path that delivers 11 ft. of lift height, the S750 is a popular choice for many loading applications. 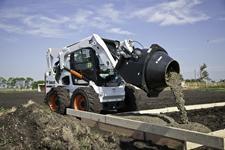 The Bobcat® S770 skid-steer loader is ready for tough digging, loading, pushing, grading and other assignments. The S770’s vertical lift path gives more reach at full lift height without any decrease in performance. With impressive lift capacity and an industry-leading 12-ft. lift height, the Bobcat® S850 is the largest skid-steer loader in the lineup. 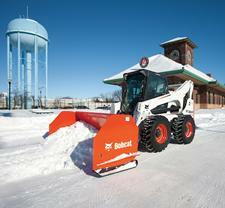 The Bobcat® S850 helps you do more than ever before, but still in a compact frame.